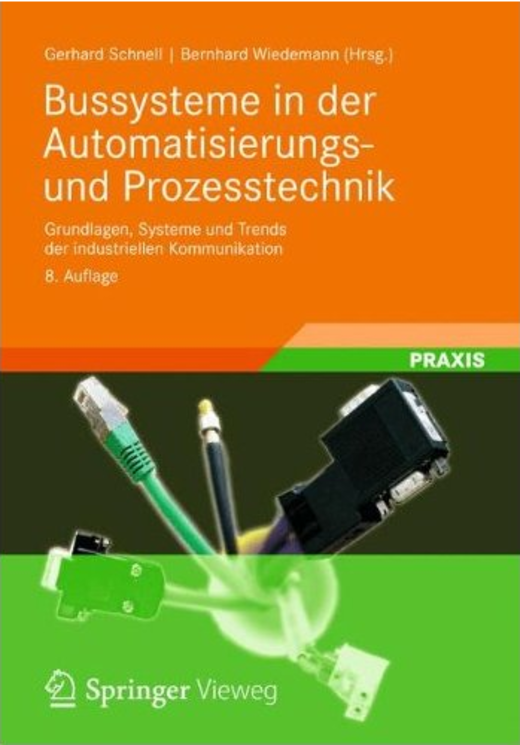 The book about bus-systems for factory and process is available in the 7th edition. The 440-pages book (ISBN 978-3-8348-0425-9) with 252 figures has been first released in 1994. It covers the basics of industrial communication networks, but spends just twelve pages for CAN technology (CAN basics, CANopen, DeviceNet, and the no longer supported Smart Disributed System). Other bus-systems, the various Profibus derivates and AS-Interface in particular, seam to be over-represented. Just one-page information about CANopen is not sufficient for one of the most successful industrial networks. The not more relevant Worldfip, and the LON network – not very often used in industrial or process automation – are described, too. Few of the industrial Ethernet solutions are introduced just briefly.